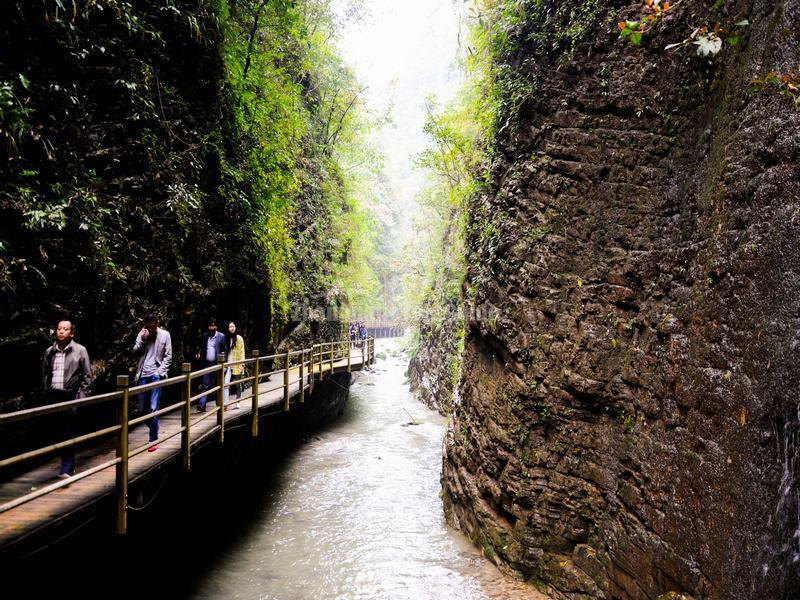 Located in Cili county of Zhangjiajie city, the Zhangjiajie Grand Canyon is very popular with explorers and nature lovers from home and abroad. The canyon features typical karst landform, breathtaking cliffs, lush forests, ancient caves, colorful pools, and a limpid river. It takes more than 3 hours to visit the canyon, so remember to wear sports shoes and bring some food. 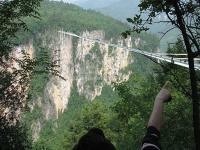 You are recommended to start at the top of the canyon and move downhill, these attractions coming into view successively: A Strip of Sky, Sky Ladder Plank Road, Southern Red Flag Canal, Zhangjiajie Grand Canyon Glass Bridge, Barrel Cliff, Flying Fox Rushing Downhill, Pearl Wall & Waterfall of Butterfly Spring, and Swallow Cliff etc. 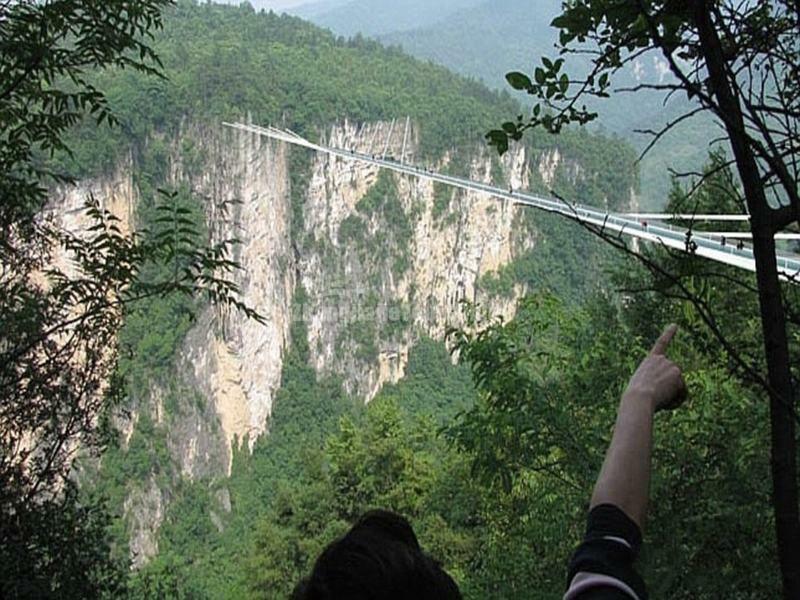 The most famous attraction of the canyon is perhaps the Zhangjiajie Grand Canyon Glass Bridge, which is glass-bottomed and is transparent. When it opened in 2016, it was the longest and tallest glass bottomed bridge in the world. The bridge measures 430 metres in total length and 6 metres in breadth, and is suspended about 260 metres above the ground. The bridge spans the canyon between two mountain cliffs.